We arrived in the New Zealand capital after a 30-hour journey taking three flights, stopping at Abu Dhabi and Sydney, but only to change planes. The flights were pretty uneventful except for seeing the Irish and Romanian teams in transit at Sydney airport and for the Air New Zealand safety video which managed to make dull but important subject matter worth watching (click below). Eight bags got left in Sydney which gave some of our party a problem for a day or two but after settling in we had the first court of the tour for a range of transgressions (dress code violations, blagging free entry to the Executive Lounge, overzealous chatting up of air stewardesses, etc.) then went to explore Wellington. It was the last day of winter when we arrived and the temperature struggled to get above 10 degrees but the sun gave enough warmth to allow us to spend the day looking around the huge natural harbour that is the centrepiece of the city. 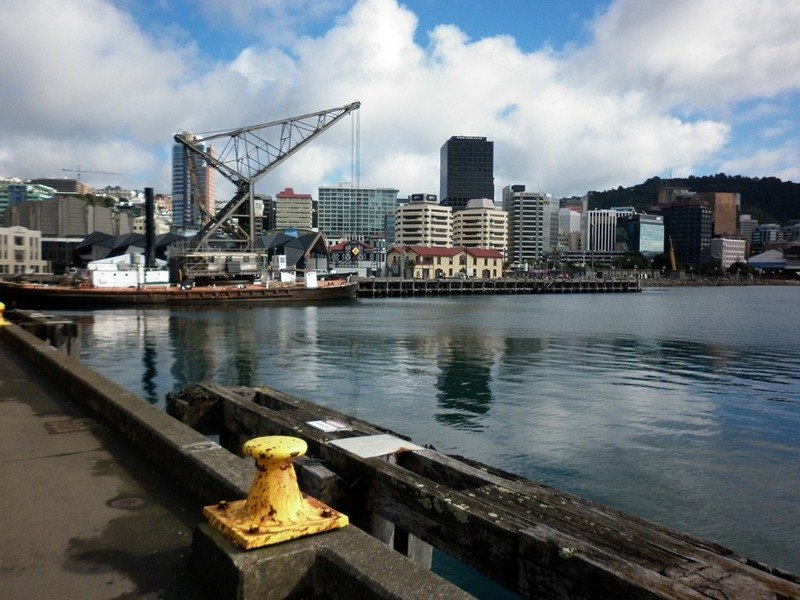 The harbour area has been modernised with bars, restaurants, museums and art galleries all around the former docks and preparations for the forthcoming world cup were apparent with All Blacks and RWC 2011 pennants and posters everywhere. For a capital city Wellington is incredibly quiet, even on a Friday and Saturday night, but most of us found the livelier bars where we were always welcomed in the spirit of rugby. 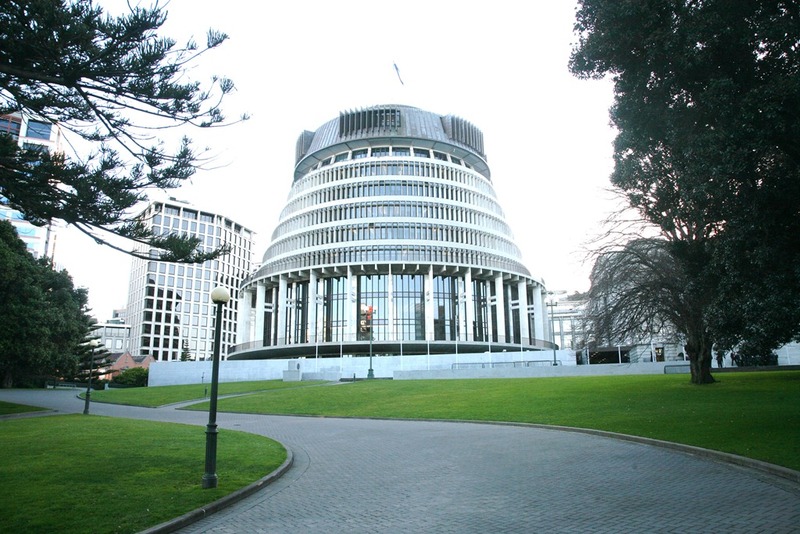 On Friday we were invited to have a tour around the New Zealand Parliament followed by a reception in The Beehive, the modern addition to the parliament building, for all the teams taking part in the Parliamentary World Cup. We were greeted with a Powhiri, a traditional Maori welcoming ceremony and a Haka from the New Zealand Parliamentary Rugby team, and after the wine and beer had lubricated the throats the Argentinians started the singing closely followed by the French. A low rumble and stamping of feet heralded the South African contribution to the festivities and Australia weighed in predictably with Waltzing Matilda. The British & Irish Parliamentary Lions were the last to take the stage and with four countries represented we started with Jerusalem followed by Molly Malone and Flower of Scotland (what are the words?) before finishing with Delilah. Honour satisfied we spent the evening reacquainting old friendships and making new ones before dispersing to various bars around Wellington. A training session was scheduled for Saturday morning and most of the squad managed the short walk to the cable-car to take us up the mountain to the ground. Less said about the session the better but at least we made the effort! Afterwards we carried on up the mountain for a stunning view of the bay before walking down through the botanical gardens. 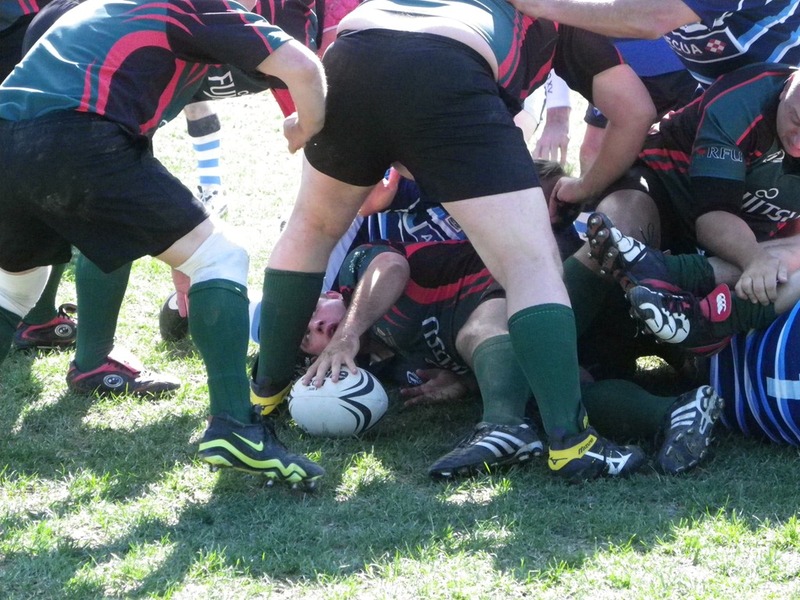 Sunday was match day with three games scheduled at Wellington Rugby Club on a bright but cool afternoon. First up were South Africa and Australia with the Bokkers taking an early lead but Australia looked the better side and won through four tries to one. We were up next against the Argentinians and we were worried that our meagre playing resources of only seventeen players would stretch us. For the first five minutes we managed to hold our own but the Argentinian handling and speed were too much and they raced into a 25-0 half-time lead. Reinforcements arrived with two South Africans, two Australians and a Kiwi who helped to stem the flow of tries but we lost 30-0. The final game saw New Zealand take on France and the All Blacks, after the customary Haka, showed that they were clear favourites to retain the trophy. Thankfully the British & Irish Parliamentary Lions don’t have to play them! 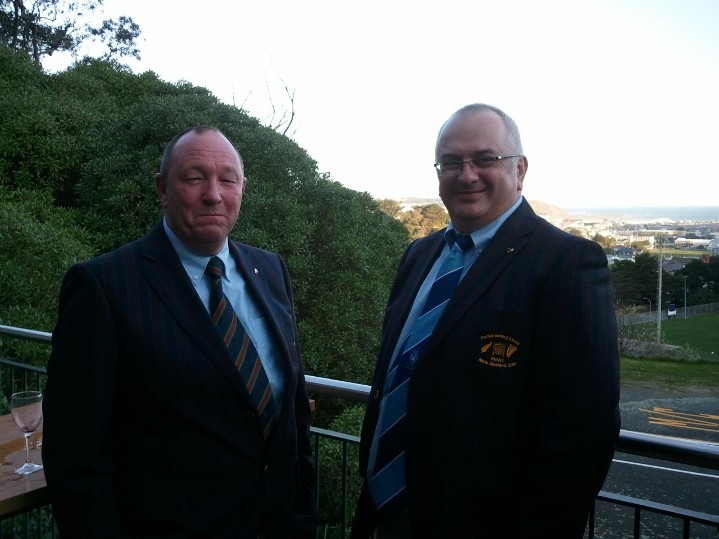 Afterwards we walked up the hill to the Marist St Pats sports club for post-match refreshments and singing. The clubhouse overlooks Wellington and the Cook Straights and there can’t be many clubhouses around the world with better views. We now move north to Rotorua for the second round of games. 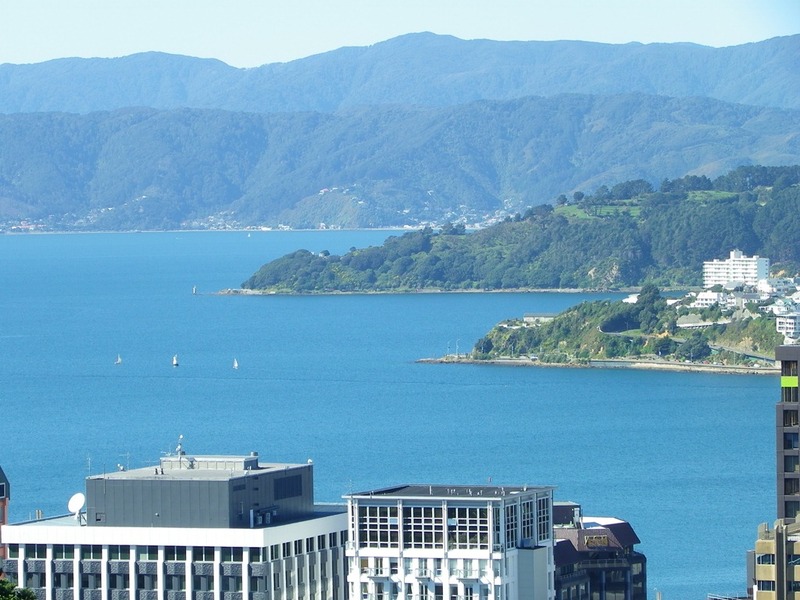 I have been impressed by Wellington but in particular by the warmth and friendliness of the New Zealand people. They have been very welcoming and are completely nuts about rugby!